32 total shares. Be the next! Save Jason to your Collection. Register Now! 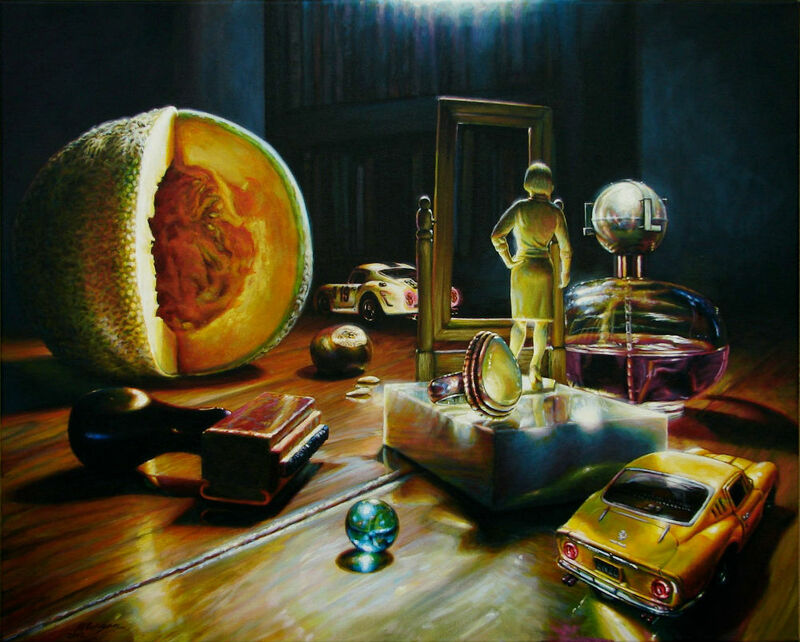 Recognized as an established and accomplished portrait artist for the past decade, Mr. Morgan currently finds his artistic direction moving toward contemporary still life painting rendered in a hyper-realist style. 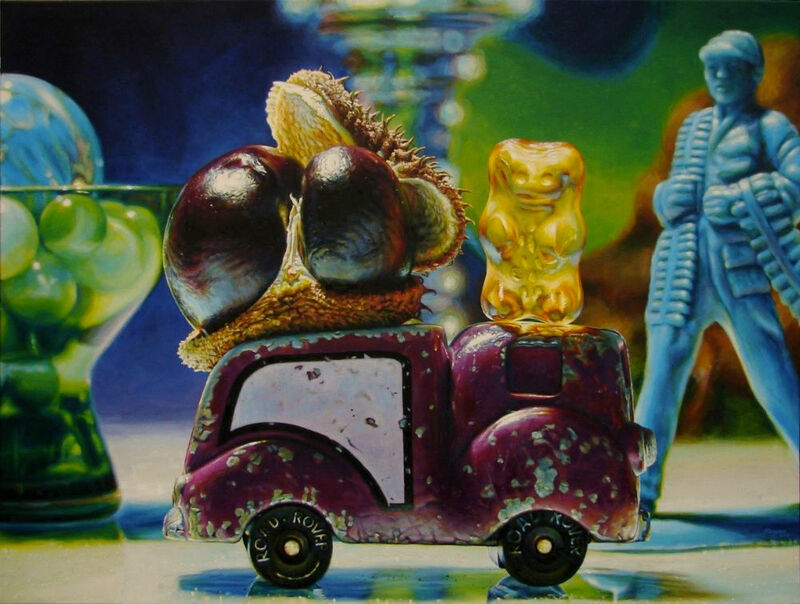 Judiciously choosing his still life objects, he cleverly juxtaposes unusual items such as produce, worn toys and vintage glass objects to produce thought-provoking compositions. In creating his works, he draws upon the techniques of Old Master painters such as Rembrandt and Rubens by employing chiaroscuro, or the contrast of light and dark areas in a painting. It is his keen sense of observation that allows Mr. Morgan to easily transition from portrait work to contemporary still life painting. Mr. Morgan moved from Texas to Yellow Springs, Ohio with his family in 2005. After ten years spent working as a graphic artist, he has painted professionally for the past twelve years. 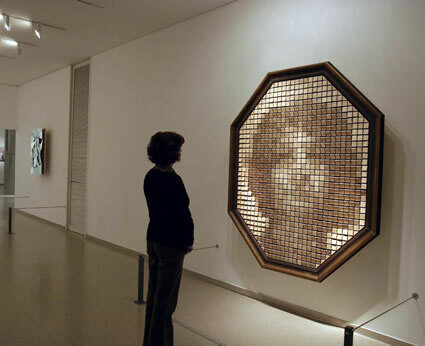 His primary focus as a fine artist has been on portraiture, contemporary still lifes and large-scale mural work, including outdoor murals in Wilmington, Yellow Springs and Springfield, Ohio. He is largely self-taught and draws inspiration from Rembrandt, Norman Rockwell, John Singer Sargent, Maxfield Parish, and N.C. Wyeth. Thank you all for the wonderful comments. I am honored to have my work shown here. 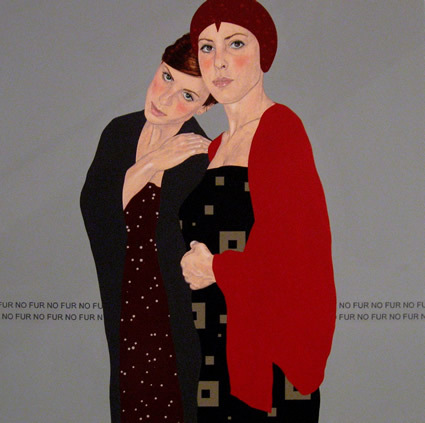 Tammy and Meg, if you are ever in Columbus Ohio you can see them at Brandt Roberts Gallery. Peggy, the images here are of acrylic paintings on canvas. They get confused with photos frequently. Could my wife and I come to yellow Springs and perhaps see your work, with the idea of adding to our Ohio collection? This is crazy good, one day I want to be able to do hyper-realist style on landscapes. Time will tell. What fun. I would love to look at these close up. Amazing talent. And self-taught, wow! Totally Awesome! The best I've seen on here - deserves a higher rank. Vote 5 folks! Thought provoking! As photography should be.